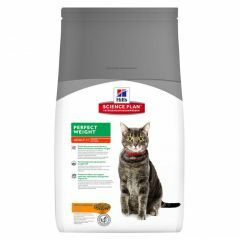 Nutrition Your pet’s food | what’s in it and why does it matter? 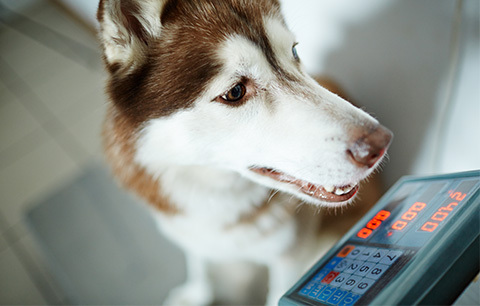 At Animed Direct we're putting good health back on the menu. 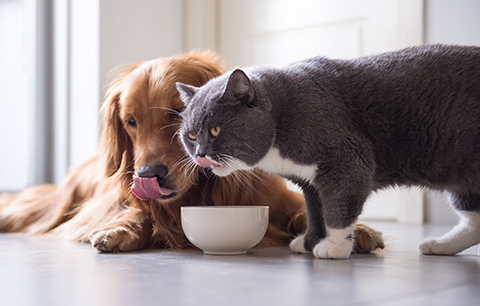 Read these three blogs to understand why high quality food matters, the importance of lifestage nutrition and why pets need to remain a healthy weight. 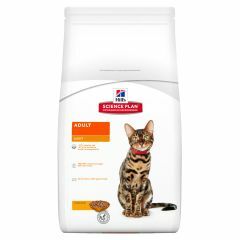 Below are just some of our leading food and supplement ranges. 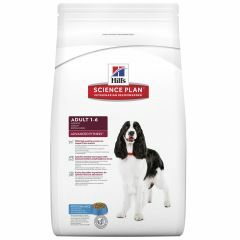 Hills Science Plan Adult Dog Large Breed Perfect Weight Dry Food provides a precise nutritional balance but with less calories to help keep your dog a healthy weight. Hills Science Plan Adult Dog Medium Breed Perfect Weight Dry Food provides clinically proven nutrition to help medium sized breed dogs achieve a healthy weight and keep excess weight off. 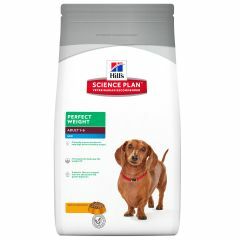 Hills Science Plan Adult Dog Mini Perfect Weight Dry Food has a special formula and a unique blend of ingredients to help your dog stay healthy and happy. 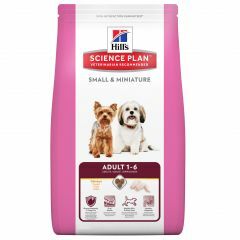 Hills Science Plan Adult Dog Small & Miniature with Chicken Dry Food supports oral health, healthy skin and healthy digestion in small breed dogs. Hills Science Plan Advanced Fitness Adult Dog Large Breed with Chicken Dry Food is formulated for optimal joint and muscle support in large breed dogs. 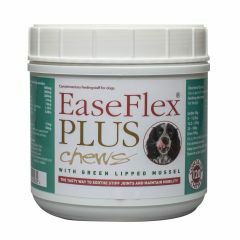 With clinically proven antioxidants, and glucosamine and chondroitin from natural sources. 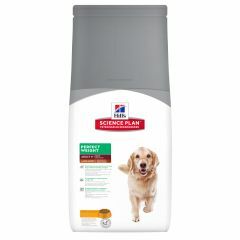 Hill's Science Plan Advanced Fitness Adult Large Breed Dog Food with Lamb & Rice is formulated to support digestion and joint health, for large breed dogs. 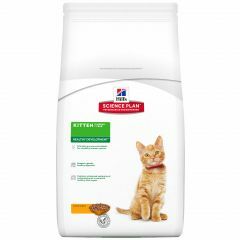 With clinically proven antioxidants and highly digestible lamb. Hills Science Plan Advanced Fitness Adult Dog Mini With Chicken Dry Food is formulated to support lean muscle and healthy vital organs and is ideal for dogs who prefer a smaller kibble. 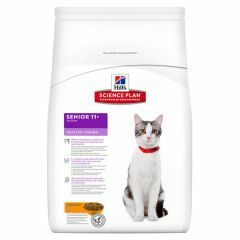 With clinically proven antioxidants, lean proteins and omega 3's. 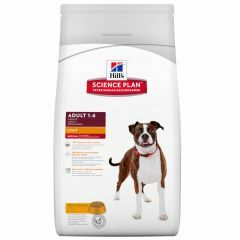 Hills Science Plan Advanced Fitness Adult Dog with Lamb & Rice Dry Food is formulated to support digestive health and lean muscle. 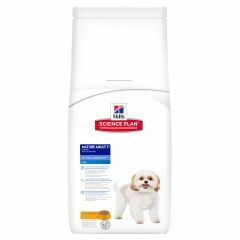 With clinically proven antioxidants and highly digestible lamb. 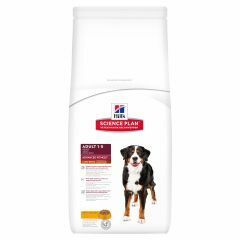 Hills Science Plan Advanced Fitness Adult Dog with Tuna & Rice Dry is formulated to support lean muscle and healthy vital organs. 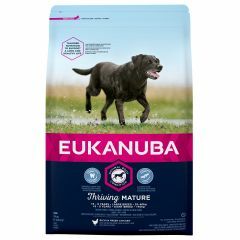 With clinically proven antioxidants, lean proteins and omega 3's. 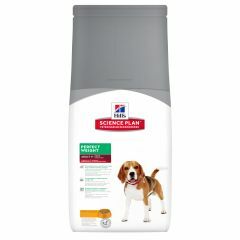 Hills Science Plan Advanced Fitness Adult Medium Dog with Chicken Dry Food is formulated to support lean muscle and healthy vital organs for medium sized breeds. 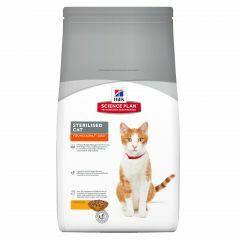 With clinically proven antioxidants, lean proteins and omega 3's. 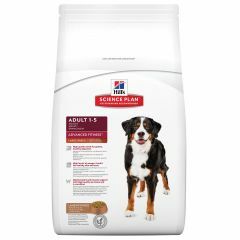 Hills Science Plan Light Adult Dog with Chicken Dry Food is formulated to help maintain ideal weight. With clinically proven antioxidants and L-carnitine to help turn fat into energy. 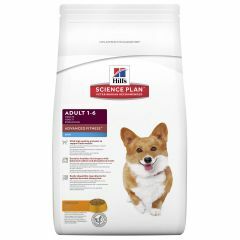 Hills Science Plan Mature Adult 7+ Active Longevity Medium with Chicken Dryis formulated to sustain mobility and healthy vital organs. 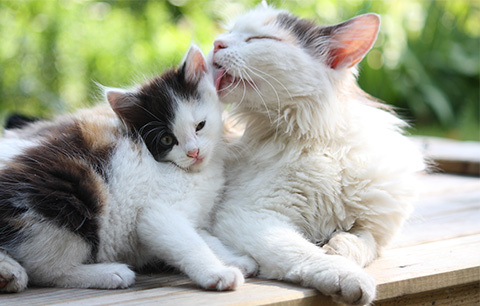 With clinically proven antioxidants, and glucosamine and chondroitin from natural sources.